“Connect: Finances at your fingertips” is a digital initiative from CARE Peru and Fundación Capital, designed to strengthen the financial capacities of Peruvian women living in social or economic vulnerability. “Connect” uses LISTA, an Android app that is built on the concept of ‘edutainment’ (education and entertainment) to teach vulnerable populations, especially women with low educational levels, basic financial concepts and practices, financial planning, savings and how to use financial products. LISTA was developed by Fundación Capital and has been successfully implemented in five countries, reaching more than 350,000 users. LISTA now comes to Peru for the first time, thanks to an alliance between CARE Peru and Fundación Capital. 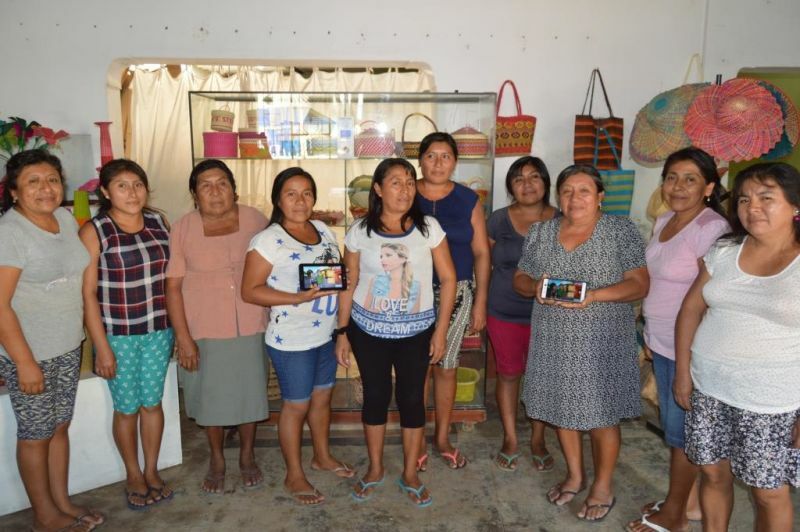 As a result, 63 women entrepreneurs from Piura and Morropón (in the Piura region) have successfully used the tablet-based app. LISTA’s main advantage is its interactive and autonomous format, which requires no internet connection and minimal supervision. LISTA adapts to each user’s individual learning needs and the women can easily accommodate it into their daily routines and family life. “It’s a very didactic way to learn, both for me and the other women, who trained themselves on LISTA. With this tool we can train in our own house at any time. I showed the app to my little sister, we learnt and had fun together; and it was very useful for the other women too because they learnt in their own space and at their own rhythm. 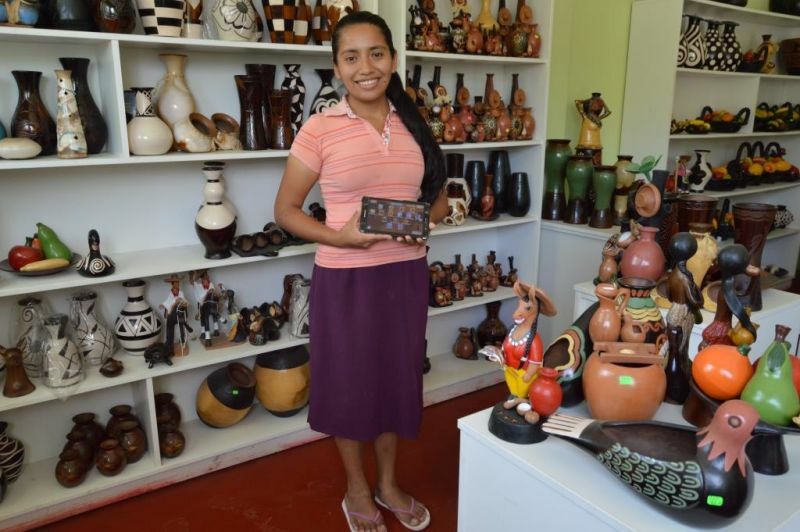 As well as learning about finances, we have learnt how to use a technological device like the tablet, which will be very useful for us”, said Melissa Inga, a ceramic craftswoman from Morropón. “Connect”, through LISTA, has been able to reinforce basic financial concepts in a fun and interactive way, using technology to promote learning. Cecilia Yarlequé, a straw hat artisan from Narihualá, Piura, states it has been an exciting experience compared to other more traditional training, when they listen to a mentor. “It’s been very easy and entertaining to train myself using ths tablet. And, if I ever didn’t understand something, I could repeat the instructions and review the modules as many times as I wanted.” Moreover, LISTA includes video testimonials from peers, which the participants have found very motivational. Many of them have already started planning their savings. In Peru, women like Melissa and Cecilia, who are from low-income rural areas, are the first ones to be excluded from the formal financial system, according to the National Strategy for Financial Inclusion (2015). 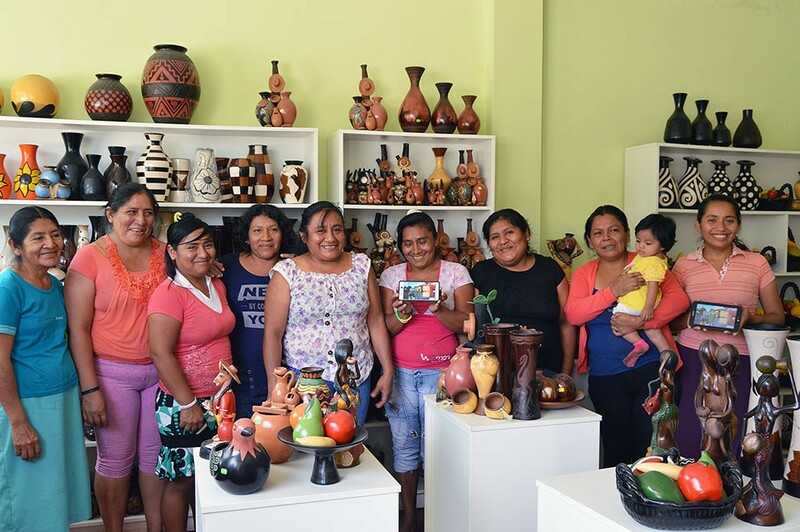 The “Connect” initiative aims to reduce the financial and digital gaps by connecting women entrepreneurs from poor rural and peri-urban communities in Piura and Junín, regions in which CARE Peru currently operates, to the financial system. This small pilot has not only proved the success of “Connect” but has also shed light onto the financial practices and environment of the participants. During this first implementation with 63 vulnerable women entrepreneurs – thanks to H&M Foundation funding – it was found that most of them do not keep track of their family and business expenditures and income, therefore they do not consciously plan their budget and savings. Additionally, most of the participants only have informal savings because they don’t have a bank account, as the bank branches are too far away. Although a significant number of women have a card from Banco de la Nación for being beneficiaries of Juntos (the national CCT program), many of them are unaware of the benefits of having a bank account. This, along with all the information collected in this first stage of implementation, has been documented in a report that is available on CARE Peru’s website. Originally post at Care Blog.